I have been interested in non-invasive approaches to getting and staying healthy, with no real interest in medical procedures or taking drugs. In my early years, I was interested in natural approaches to health primarily through exercise, nutrition and a positive mental attitude. I injured my lower back in 1986 while training in karate. At age 32, I was having great difficulty getting out of bed in the morning and functioning throughout the day. I was absolutely miserable and had no knowledge of chiropractic at that time. 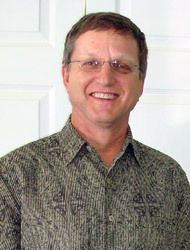 Dr. Jeff Baldwin, a local Chiropractor, was a member at the fitness center where I trained. He observed the pain and distress I was in and said “I can help you.” I was impressed with his absolute confidence in chiropractic and was especially happy to learn that it didn’t involve taking drugs. I immediately scheduled an appointment with him for a chiropractic evaluation. He explained to me, in a report of his findings, that I had vertebral subluxations in my spine causing my problems. I then had my first adjustment and noticed significant relief. Subsequent adjustments followed and the cause of my original problems were completely eliminated. I was totally amazed at this approach to health that used the natural healing ability of the body. Finally, I found the answer to health that I had been searching for my entire adult life. My family moved to Fayetteville in 1961. I attended elementary school at Mary McArthur and William H. Owen, high school at 71st and college at East Carolina University. At ECU, I majored in Public Health with an emphasis in Alcohol and Drug abuse counseling. I then spent seven years in the United States Air Force searching for the right path in life for me. After moving back to Fayetteville my search continued. After my wonderful response to chiropractic I decided to attend Life University of Chiropractic near Atlanta. I was impressed by how comprehensive the curriculum was with respect to Spinal Anatomy, Neurology, Physiology, Nutrition, X-Ray and Adjusting Techniques. They taught that the body is self-healing. Cut your finger, it heals. Cut the finger on a corpse, it doesn’t heal. Life heals. The all important nerve system is the master system of the body. Every dimension of the human experience – everything we think, feel and do is processed through the nerve system. When there is interference with the function of the nerve system, not only does it compromise your physical health, it alters your perception of the world and limits your ability to respond to your environment. Chiropractors locate and correct the cause of this interference. This is a fact that medical care ignores. I remember Life College President Dr. Sid Williams saying “Chiropractic not only improves your patient’s physical health but their overall quality of life.” After graduation in 1991, I enthusiastically opened Fayetteville Family Chiropractic on Feb 10, 1992. Our practice philosophy is to give everyone the opportunity to experience the wonderful benefits of chiropractic. Our Mission statement is “True health is a God-given gift we all deserve. The chiropractic adjustment we provide makes receiving that gift possible.” Our primary goal is to introduce families to chiropractic and help parents realize the positive benefits of having their children adjusted. Patients who follow our recommendations for care enjoy excellent results. The ability to change the lives of individuals and families on a regular basis is indeed gratifying. Patient ages range from newborns being subluxated from the birth process to seniors well into their 90’s. Since 1992 I have seen my chiropractor at least weekly. So does every member of my family. It keeps our nerve system interference free which keeps our immune system strong. We notice those not under chiropractic care get sick more often and miss work and school. In fact, I’ve only missed ½ day in the office since I opened in 1992. I married the former Carolina Mulkay in January 1986. We were blessed with our first son Andrew in 1989, while in my first year of Chiropractic school. Our daughter, Laura was born in 1993 during our second year of practice. Our son, Jacob was born in 1998. 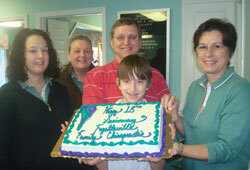 All three children have been under comprehensive chiropractic wellness care since birth. All three children are academically gifted, have had no medical intervention (or vaccinations, for more information on vaccines go to National Vaccine Information Center because you do have a choice) and have enjoyed active healthy lives. I met Carolina on an excursion to a beach in the Virgin Islands. We were on a 7 day cruise aboard the SS Norway in the summer of 1984. We were married 1 ½ years later. We enjoy traveling with our three children. I enjoy golf, reading, exercising at the fitness center, working on old cars, riding motorcycles and attending the children’s sporting events. Carolina and I get up early most mornings to go to the fitness center to exercise at 5am. We eat, as closely as possible, an organic diet of high protein and low carbohydrate with appropriate vitamin supplementation. I have had no over-the-counter or prescribed drugs, except for dental work, for over 20 years. My children have also had no drugs or medical intervention, except dental work since birth. My wife has had no drugs or intervention except for childbirth or dental procedures for over 20 years. Thanks for visiting our site. We look forward to meeting you in person and learning how chiropractic can help you. Give our Fayetteville chiropractic office a call or email us using the link below, so we can help you take your first step towards better health.